Nearly a third of all patients undergoing heart surgery experience kidney failure, yet little is known about why kidney injury occurs or how to prevent it. KNOXVILLE—No one can deny that open-heart surgery, where the heart is exposed and the blood is made to bypass it, is one of the most invasive of all medical procedures. Nearly a third of all patients undergoing heart surgery experience kidney failure, yet little is known about why kidney injury occurs or how to prevent it. Now, for the first time, a team of researchers in the United States and Australia have investigated the causes of kidney injury, using a mathematical model that simulates typical open-heart surgery and the effects on a rat kidney. The model uses algorithms to simulate the transport of fluids through the kidney's inner and outer regions and the ureter, the tube that carries urine to the bladder. The model shows that during the surgery, the amount of oxygen within certain sub-regions of the kidney drops to critical levels. The low oxygen levels make the sub-regions vulnerable to hypoxia, which if left uncontrolled could result in injury to the kidneys. The study was published today in the journal Mathematical Medicine and Biology. "With mathematical modeling, we can basically avoid any of the experimental and clinical limitations associated with real life models," explained Ioannis Sgouralis, lead author and postdoctoral researcher at the National Institute for Mathematical and Biological Synthesis. Of course, there are substantial differences between predictions made by the rat model in the study and measurements in humans, the researchers note. Yet, virtually all mathematical models of the mammalian kidney have been based on the rat kidney, not humans, as there is a lack of data in the human kidney compared to the rat. However, the rat kidney model as a window into what happens to human patients has proven useful, notes Roger Evans, the study's co-author and associate professor of physiology at the Monash Biomedicine Discovery Institute in Australia. "The model's predictions of how and when the kidney is susceptible to hypoxia are very consistent with our recent observations in human patients during open heart surgery," Evans said. The model in this study is unique because a mathematical model of the effects on the rat kidney during open-heart surgery had not previously been done. Despite considerable advances in bypass techniques in the last decade, patient mortality and morbidity associated with acute renal failure has not changed significantly. Currently, no single medical strategy has shown conclusively its ability to prevent renal injury after bypass surgery. 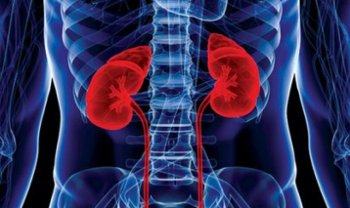 Knowing why renal failure occurs can help doctors prevent it from happening, Sgouralis added.